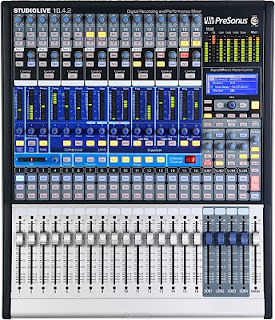 Here is a wonderful 16-channel Mixer/FireWire Interface with 100mm Faders. It also has something mixers do not have in this size, Talkback! It also has 4-band EQ, compression, limiting, and gating on every channel. It comes bundled with Capture recording software. Sleek design that you will love. Great for tracking live or in a studio. It retails for around $2,000. 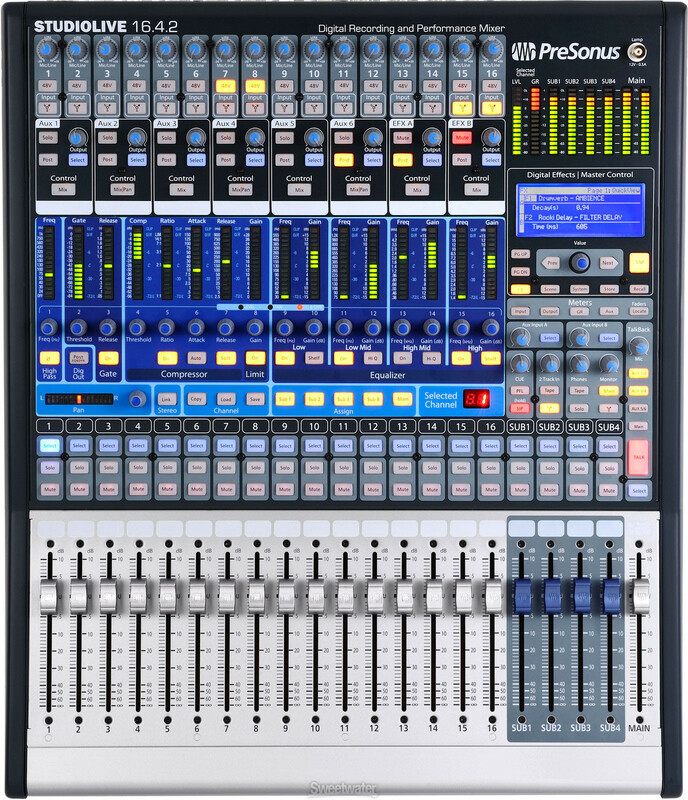 For more info visit PreSonus here.